In one day Monk’s Home Improvements replaced this home’s damaged fascia and painted the newly installed composite fascia. 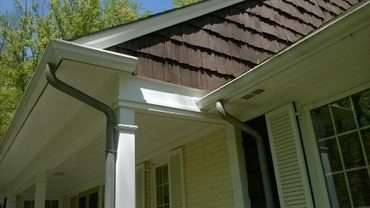 The fascia on this Morristown, NJ exterior was in need of a replacement. In one day our team at Monk’s replaced the rotting fascia with new azek. Azek is a composite material which means it is water resistant, and therefore a wonderful choice for exterior projects. Once the new fascia was installed it was also painted by Monk’s.